The trend for eBook short-stories or eNovellas has increased to the degree that they are now a fully accepted addition to an author’s writing arsenal. Some are used as a fill-in between full-length books keeping readers interested in the characters and a series’ arc. They are also used as prequels to current works, to introduce the next book by the author (series or stand-alone) and also for new authors or authors returning after a hiatus. Certainly, the uses are myriad and for me, quite interesting. 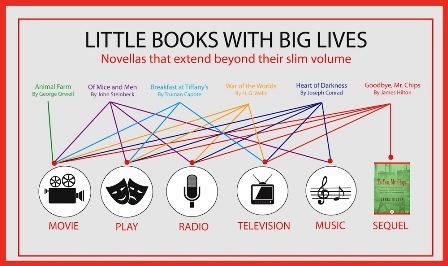 In the past, books have led to successful plays, chart-topping music and movies. Today’s marketplace includes video games, life-style websites and perhaps the next social media sensation. Into this mix eNovellas bring a great means of combined story-telling and marketing that can be effective when properly handled. When badly handled, such as in the case of Michael Connelly’s Switchblade it can be a disaster. The problem seemed to be that Connelly’s novella is billed as an original short story. Unfortunately, of the pages available 35 per cent were the short story (according to one reader) with the balance an introduction to The Gods of Guilt. The content provoked outrage on Amazon with comment such as: “dirty trick,” and “we was had.” The consensus among reviewers was pretty damning. This shows that even seasoned authors can make mistakes in this new world of publishing. The word transparency comes to mind and was mentioned recently in a discussion with author R.C. O’Leary. You’ll hear more about him later on. What are your thoughts on this medium? Do you download eNovellas? Is there a place for them in your reading list? As a once reluctant reader (due to a learning disability), I applaud the mighty novella. Books are magical and should be accessible to all. Absolutely Leanne. The importance of books and their availability can never be taken for granted.